INCHEON -- Integrated resort complex Paradise City has opened the rest of its art and entertainment facilities, following the opening of its hotel, casino and convention facilities in April last year. The newly opened facilities include Plaza, the shopping arcade; Cimer, a spa facility; Chroma, a night club; Art Paradiso, a suite-room only boutique hotel; and Paradise Art Space, an art exhibition hall. Wonder Box, an entertainment theme park for young children and their parents, is set to open in the first half of next year. 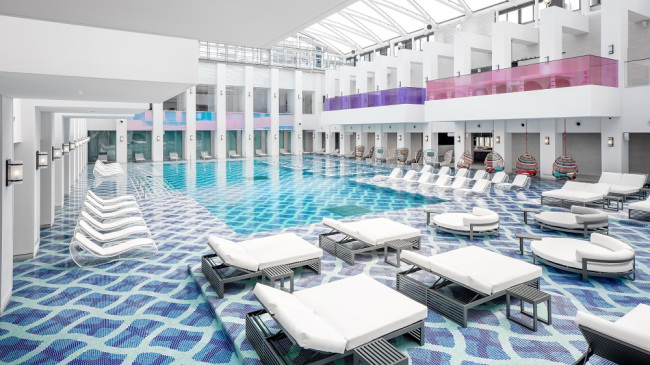 Cimer features a European style-concept spa and Korean-style sauna jjimjilbang, with the aim of providing an unprecedented spa experience, the hotel said. It also has an infinity pool and outdoor spa zone on the third floor, as well as and an aqualoop waterslide on the fourth floor. Chroma is the largest night club in the Northeast Asian region, with a four-story building that holds up to 3,000 people. Its roof top is designed to look like an Ibiza beach club. In addition, all facilities have high-end, luxury and sophisticated interior designs on par with the likes of hotels in Macau and Las Vegas, according to the hotel. The 330,000-square-meter resort is a 1.3 trillion won ($1.14 billion) joint venture between Korean casino operator Paradise Group and Japanese entertainment company Sega Sammy. 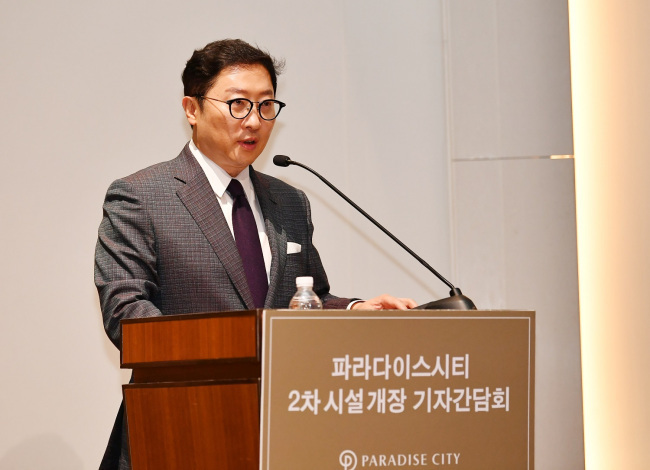 “With the second-round opening of the Paradise City, we aim to vitalize the sluggish tourism industry here as well as increase the number of inbound travelers, ultimately making Paradise City a one-stop K-style destination,” said Paradise Sega Sammy President Park Pyung-yong. 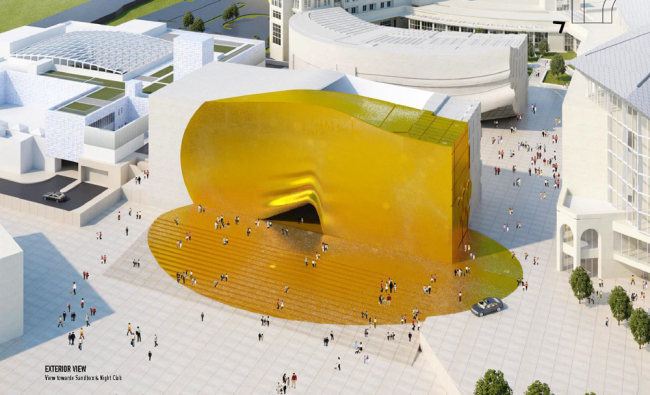 With the opening of new facilities, Paradise City will unveil additional artworks such as those by American pop culture artist Jeff Koons and curated by Korean creative director Chung Ku-ho. A variety of exhibitions, parties and cultural events are planned until October, Paradise City said. “Despite a fall in Chinese visitors following the THAAD (Terminal High Altitude Area Defense) row, the number of visitors from Southeast Asian countries have significantly gone up, and we plan to target those countries to attract more foreign tourists,” said Ahn Chang-wan, chief general manager at Fun City. “The opening of additional facilities will also create some 800 more jobs after some 1,700 were employed last year (for the grand opening.) Through Paradise City, up to 780,000 jobs will be created and it will make 8.2 trillion won of sales over the next 50 years,” he added.